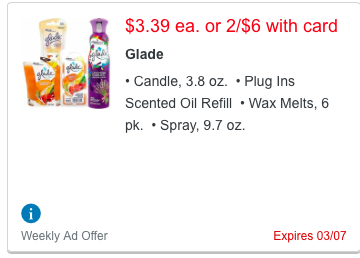 HOLY GLADE DEALS! 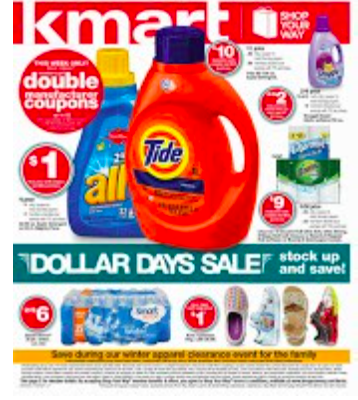 With coupons, store sales and Checkout 51! 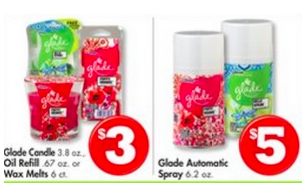 I just checked my Checkout 51 app this morning and there are double the savings on all Glade products listed for this week! I have a feeling these will go super fast with all the great deals we have going on!!! Sign up for Checkout 51 here! There are catalinas printing at some stores too!!!! 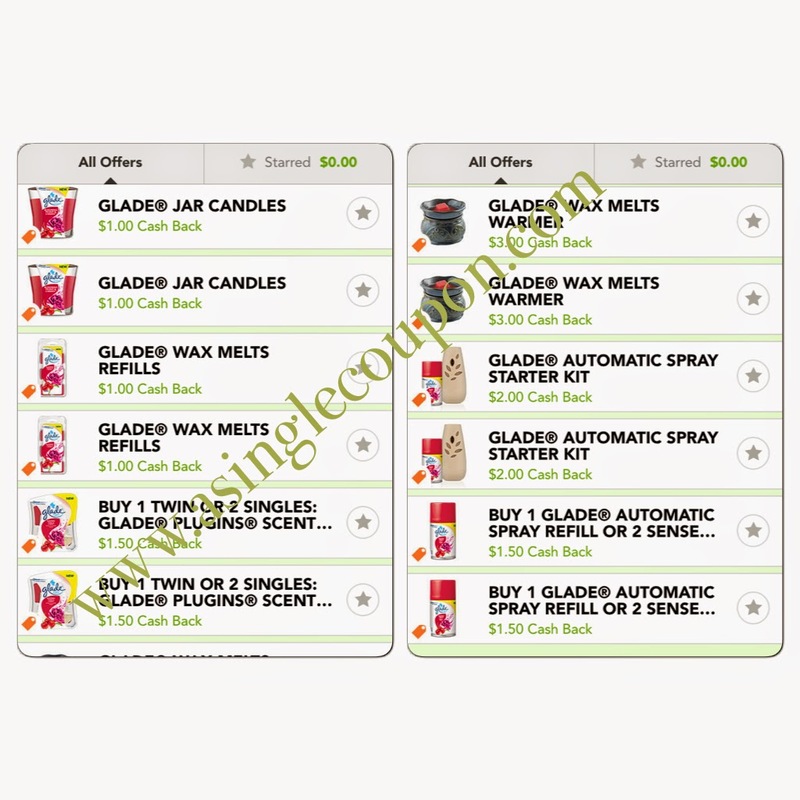 GET THEM NOW BEFORE THE COUPONS DISAPPEAR OR CHECKOUT 51 FILLS ITS GLADE QUOTA! Once they go, they are gone for a week! 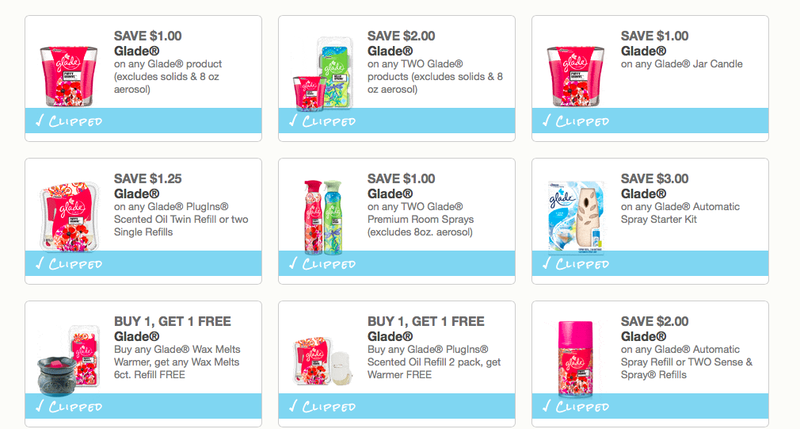 Print all the Glade coupons with one click here, or by clicking the picture above! Great for this weeks doubling event! The following Cataline is printing!